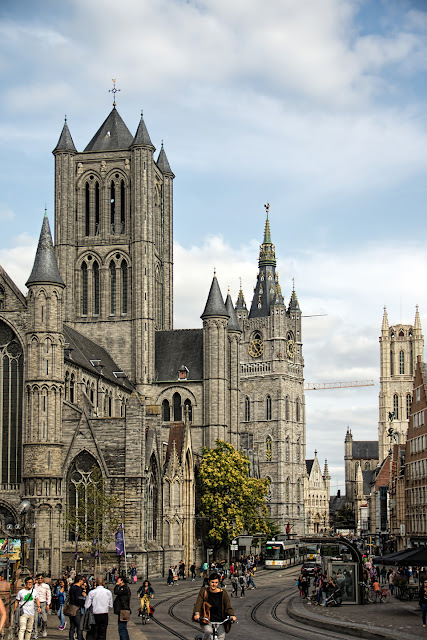 If Ghent really were a medieval theme park, St Nicholas would be Space Mountain. It's one of the famous Three Towers in the center of Ghent, the other two being the Belfry and St Bavos. The style, called Scheldt Gothic, is very different from Gothic churches in other parts of Europe. There is the single tower, for one thing, and those cute little turrets everywhere, which to my jaded modern eye do look a little Disneyland.